I will be speaking about the Road to Resegregation at the following public events in late 2018 and early 2019. I will continue to update this page as more events come online. November 29th. SPUR San Francisco, 654 Mission Street, San Francisco. 12:30 p.m. Free for SPUR members, $10 for non-members. Click on the link for more information. December 4th. San Jose State University, 12:30-1:30 pm. Student Union, room 2B. Lunch provided. December 5th. Stanford University. 1:30-3:00pm. This talk is part of the 2018 Human Cities Expo. Dr. Carol Lynn McKibben of Stanford's Urban Studies Program will serve as discussant. 506 SW Mill Street, Portland, OR 97201. Sponsored by the Center for Urban Studies and the Toulan School of Urban Studies and Planning. January 11th. University of California, Santa Barbara. Hosted by the Blum Center for Global Poverty Alleviation and Sustainable Development. January 23rd. 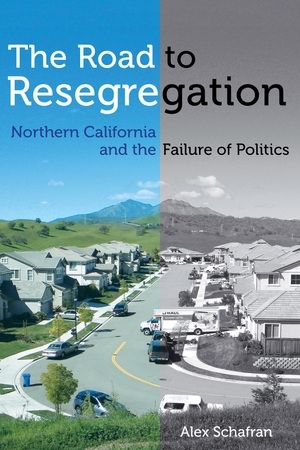 Cal Poly-Pomona, Department of City & Regional Planning. 1:00pm-2:00pm, Room 7-212. Moderated and organized by Dr. Alvaro Huerta, and co-sponsored by URBAN-Los Angeles & Inland Empire. January 24th. Federal Reserve Bank of San Francisco. Details TBA, moved from December 13th. I will also be doing a series of informal meetings with classes, organizations and other groups, and am open to joining any discussion which will have me. Contact me via email (a.schafran at leeds.ac.uk) to arrange something. I am generally available in Northern California between November 29th and January 3rd.